Anilniliak, Nancy. "Ukkusiksalik National Park". The Canadian Encyclopedia, 25 January 2018, Historica Canada. 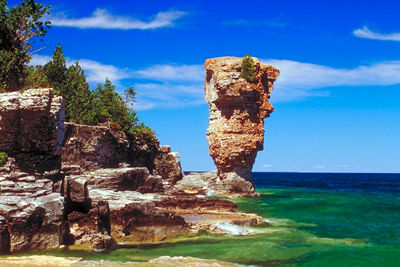 https://www.thecanadianencyclopedia.ca/en/article/ukkusiksalik-national-park. Accessed 23 April 2019. Ukkusiksalik National Park, Nunavut, size 20 500 km2, established in 2003, is located on the northwest side of Hudson Bay. Ukkusiksalik National Park, Nunavut, size 20 500 km2, established in 2003, is located on the northwest side of Hudson Bay. 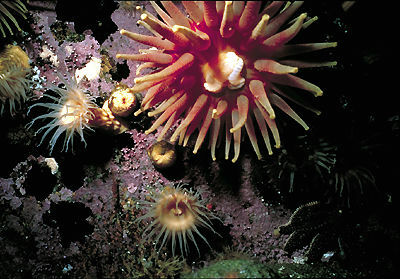 It was first proposed as a National Park in 1978 because of the spectacular inland sea, Wager Bay, and the surrounding area. The name Ukkusiksalik in Inuktitut means "the place where soapstone to make pots and oil lamps is found." The features that make this national park unique are the tundra growing over Canadian Shield rock, low ridges, countless lakes and broad rivers. There are also marine clay deposits, old beaches and esker remains now 200 m above current sea level that are evidence of retreating glaciers from the last Ice Age. Additionally, the 150 km-long Wager Bay with its cliffs, tidal flats, reversing waterfall and 2 polynyas create an ideal habitat for high concentrations of wildlife. Polar bear, caribou, peregrine falcon, gyrfalcon, 4 species of seal and arctic char are abundant. The park represents the Central Tundra natural region, which is in the Northern Arctic Ecozone. The high concentrations of wildlife are the reason this area has a rich human history, clearly in evidence by the numbers of Inuksuit (plural of inuksuk), tent rings, food caches, hunters' blinds, pits and campsites. To this day, the Inuit use the region to hunt and fish. 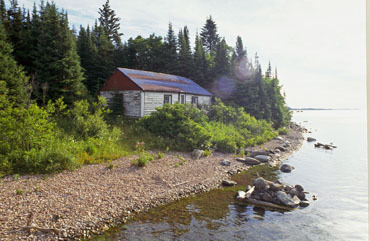 The Hudson's Bay Company traded in the area (1925-47), and remains of their buildings can be seen at Ford Lake at the west end of Wager Bay. The communities that surround Ukkusiksalik are Repulse Bay, Baker Lake, Chesterfield Inlet, Coral Harbour and Rankin Inlet. Within the park there is a lodge that provides a safe place to stay when in polar bear country. The park is in its infancy so currently park staff is located in Iqaluit while facilities are built in Repulse Bay. Visitors to the park come to hike, boat and view wildlife during the brief arctic summer. InukshukWatch the Heritage Minute about Inuit stone figures referred to as Inukshuk. See also related online learning resources. From Historica Canada.